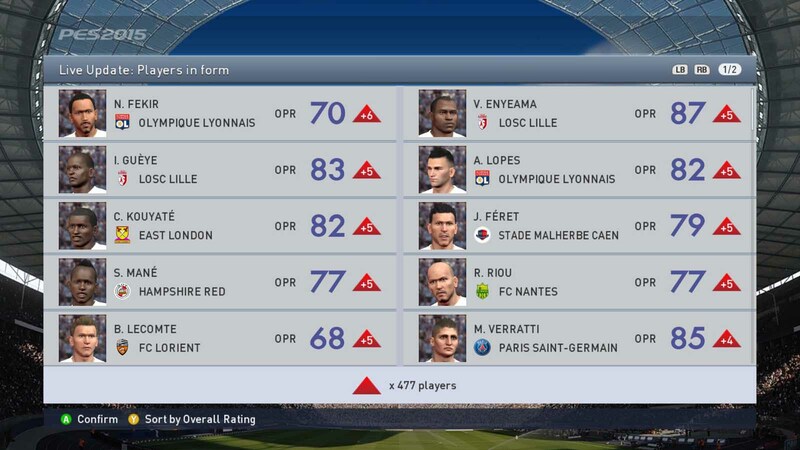 Konami released the newest weekly Live Update for PES 2015 this morning, including revaluations of player ratings, the latest lineups as well as updated winter transfers. Today's PES 2015 Live Update added no less than 59 new players to PES 2015. The list of new players includes the likes of Shola Ameobi, Yakubu, Kalu Uche and Rolando. The February 12 PES 2015 Live Update also updateds almost 400 transfers, including most, if not all, Deadline Day business. The list includes deals such as Juan Cuadrado (Fiorentina - Chelsea), Darren Fletcher (Manchester United - West Bromwich) or Aaron Lennon (Tottenham - Everton). 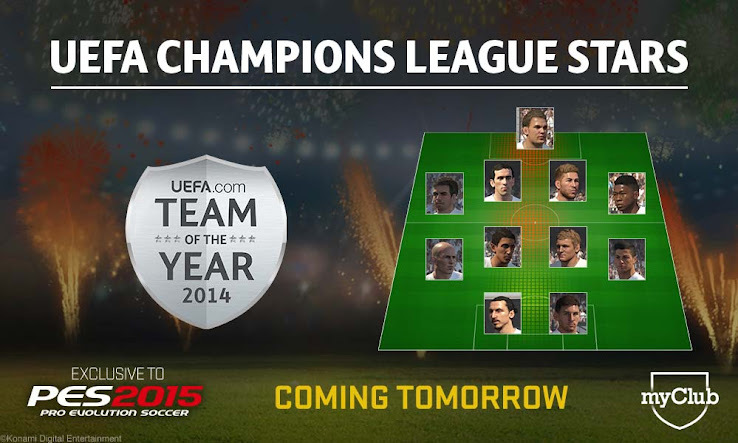 Regarding PES 2015 myClub, a new 'UEFA Champions League Stars' special agent is now available, offering to sign +75-rated players from the eight teams competing in the first round of last-16 matches next week. The 11 players from the UEFA Team of the Year will also be available using this new agent.